New Jersey Immigration Lawyers | Clark Law Firm P.C. Family-Based Immigration and Family Reunification. As part of our Of-Counsel relationship with Teresa M. Graw, Esq., we now regularly assess individual and family needs and offer clients a full array of family-based immigration legal services including “Green Cards” and Work Permits. IR Immediate Relatives of U.S. Citizens Spouses and Unmarried Children and Parents, F-1 Unmarried Sons and Daughters of U.S. Citizens, F-2A Spouses and Children of Permanent Residents, F-2B Unmarried Sons and Daughters of Permanent Residents, F-3 Married Sons and Daughters of U.S. Citizens, F-4 Brothers and Sisters of U.S. Citizens. K-1 Fiancés of United States Citizens, K-3 Spouses of United States Citizens, V-1 Spouses of Permanent Residents, V-2 Children of Permanent Residents. Consular Processing. 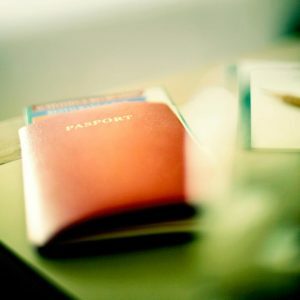 We offer our clients knowledgeable and useful advice on how to effectively deal with electronic application processes and avoidance of lengthy bureaucratic delays at the National Visa Center and U.S. Consular Posts worldwide, as well as when to choose Adjustment of Status within the U.S. over Consular Processing abroad and visa versa. We will persistently follow up, here in the U.S., when clients are unable to complete processing so that they can enter the United States. We offer client’s access to resources and tools to deal effectively with U.S. Consulates worldwide. Citizenship and Naturalization. We offer expert legal advice and representation to individuals when they have been a permanent resident of the U.S. and are seeking to further solidify their ties here by becoming a U.S. Citizen. We can help with planning the N-400 Naturalization process, including establishing requisite physical presence, proving good moral character, and preparing for the civics test and in-person interview. We identify for clients when derivative citizenship may have occurred at birth and how to take advantage in these special situations. Deferred Action, TPS, Asylum, SIJS and VAWA. Ms. Graw handles all types of deferred action cases including new and renewal Deferred Action for Childhood Arrivals (DACA), all categories of Temporary Protected Status (TPS) applications including for Nationals of El Salvador, Nicaragua and Honduras. We represent youths and adults seeking Asylum or Special Immigrant Juvenile Status (SIJS) from Juvenile Courts and USCIS and women under the Violence Against Women Act (VAWA). Deportation and Criminal Litigation. We offer individuals effective representation before the U.S. Immigration Courts (EOIR) in proceedings involving exclusion, against deportation or removal from the United States. We also offer representation before the USCIS and BALCA on appeals as well as in Federal District Courts for long outstanding problem immigration issues. We effectively counsel criminal attorneys on the immigration consequences of criminal prosecutions, pleas and convictions. Employment-Based Immigration. We now offer knowledge, expertise and broad experience to employers that are faced with many complex legal issues involving immigration laws in their day-to-day operations. Our commitment is to provide practical, cost-effective, and appropriate legal advice to allow clients to navigate through complex legal issues in a manner that reduces risk of harm to their businesses while helping them to identify ways to grow in a global economy. Realizing that immigration laws and rules change constantly, we keep up-to-date on the laws, policies and politics involved at all times. Knowing that time is of the essence in business, we are always available to assist clients promptly, on an ongoing basis, to ensure that their companies run more smoothly and predictably in the short and long term. We fully understand all the benefits of hiring and retaining foreign nationals as well as the myriad of United States laws and rules regulating their hiring and retention. All applicable Department of Labor applications which precede the filing of visa petitions such as Labor Certification Applications, Labor Condition Applications and Prevailing Wage Determination Requests. Guidance related to several USCIS frequent traveler programs and anti-terrorism efforts, I-94 Record Keeping, Customs and Border Protection policies, programs and procedures. I-9 Compliance, Audits, Investigations and Sanctions. Comprehensive corporate immigration practices must be well versed in more than just visa processing. Several agencies are designated as gate keepers when it comes to employing foreign nationals. For example, the Department of Labor (DOL) heavily regulates wages of foreign nationals, Immigration and Customs Enforcement (ICE) polices overall employer compliance with immigration laws at the workplace, the Office of Special Counsel (OSC) and Equal Employment Opportunity Commission (EEOC) enforce foreign national antidiscrimination laws and Customs and Border Protection (CBP) polices our borders. Many of these agencies have authority to conduct random, on-site audits of employer workplaces and records. We are experienced with how to handle such audits and investigations. We have effectively counseled many clients caught up in the tumult of a distracting government investigations. We have successfully negotiated with these agencies on behalf of clients and have obtained substantial reductions in potential civil and criminal penalties for clients. Representation before DOL in regard to H-1B and Prevailing Wage Audits and Investigations by OSC on immigration-related unfair employment practices in regard to national origin discrimination issues. Pro Bono and Low Cost Services to People in Need. At the Clark Law Firm, we have a very strong commitment to the people and community we serve. Therefore, built into our Of-Counsel relationship with Teresa M. Graw, Esq. is our shared philosophy of the importance of helping people and giving back to the community. For example, Ms. Graw regularly assists children from Central America who are caught up in the humanitarian crisis occurring there now. Although the above listing of legal services offered is comprehensive, it is not exhaustive. We remain available to represent clients in any U.S. immigration related matter presented. Please contact the Clark Law Firm to set up a consultation to begin the process of addressing any U.S. immigration law issue you may have.